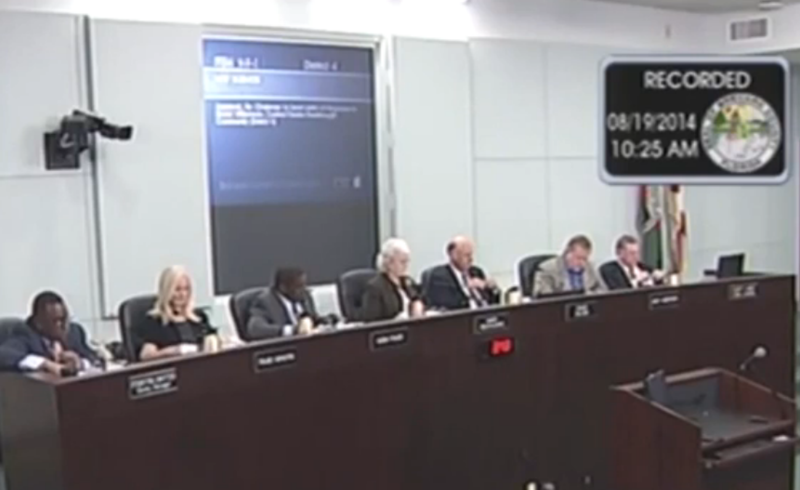 BREVARD COUNTY, Fla. — A federal judge appointed to the bench by then-President Bill Clinton has ruled that Brevard County, Florida’s board of commissioners can’t disallow atheists from delivering invocations at public commission meetings. “By opening up its invocation practice to volunteer citizens but requiring that those citizens believe in a ‘higher power’ before they will be permitted to solemnize a board meeting, the County is violating the freedom of religious belief and conscience guaranteed by the Free Exercise Clause,” wrote U.S. District Judge John Antoon II. He said that the county’s practice of only allowing religious residents to deliver the prayer is an “instrument” of division and is unconstitutional. As previously reported, Brevard County’s board of commissioners voted unanimously in 2014 to deny a request from David Williamson of the Central Florida Freethought Community after he sent correspondence to Chairman Mary Bolin Lewis asking that his group be added to the county’s invocation list. “The prayer is delivered during the ceremonial portion of the county’s meeting, and typically invokes guidance for the County Commission from the highest spiritual authority, a higher authority which a substantial body of Brevard constituents believe to exist,” the response from the commissioners and the county attorney outlined. The County, still seeking to accommodate Williamson somehow, instead suggested that the Freethought group speak during the public comment period. The board voted unanimously in favor of formalizing the matter into a policy, which angered atheists who opined that the rule was discriminatory. He therefore sued the board, and on Friday, Antoon ruled in Williamson’s favor. Antoon said that the situation did not align with the prayer practice considered by the U.S. Supreme Court in Greece v. Galloway. Brevard County Attorney Scott Knox told Florida Today that he will recommend that the commissioners appeal the decision.